Jyoti Randhawa carded four-under 68 in the opening round at the Manila Masters. 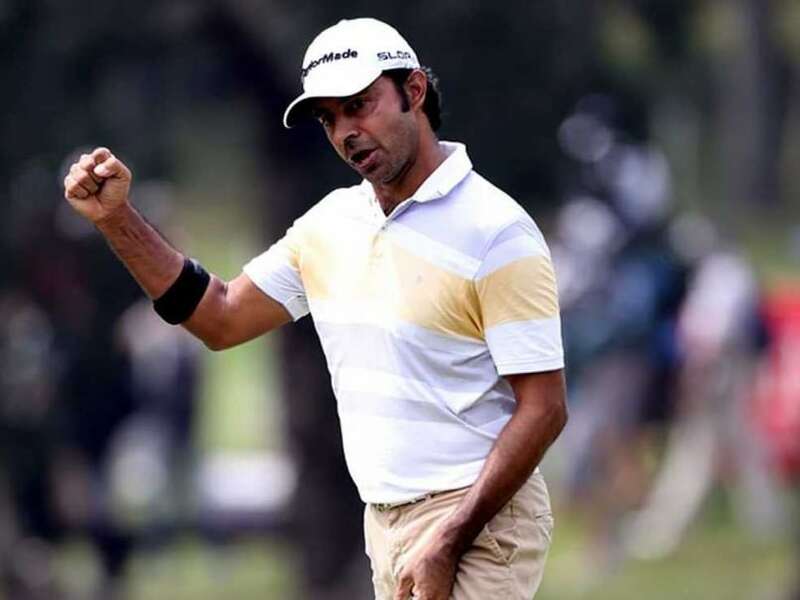 Randhawa, the former Asian Tour champion, was tied fourth after picking birdies on the first, seventh, eighth, 15th, 16th and 18th holes against bogeys on the fourth and 13th that gave him a 68. The 43-year-old was the best Indian golfer on the first day of the Asian Tour event at the Manila Southwoods Golf and Country Club. "It felt good. I played well last week and that confidence carrying on to this week. I thought I had a good chance last week as I played better than what I did here. I needed a good week, in fact the last two weeks have been good," Randhawa said in a release. "It was windy this afternoon so I was happy to shoot four under in those conditions, hit the ball well, maybe could have made a few more putts but the greens were a bit harder in the afternoon session," he added. "I think what I'm doing now, this is the best I'm hitting the ball in a long time. It's just the consistency. I need to do it over and over again. The form is coming back. I know how to play, so it's just a matter of getting the consistency going." S.S.P. Chawrasia, fourth in the Asian Tour Order of Merit this season, carded 70 to be tied 27th, while Kapil Kumar finished at tied 40th following a 71. Rahil Gangjee scored an even-par 72 to be tied 54th, while Shiv Kapur and Khalin Joshi shared the 69th spot on one-over 73. Chiragh Kumar, Shubhankar Sharma and S. Chikka were tied 84th on 74, while Jeev Milkha Singh and Gaganjeet Bhullar were joint 101 after carding matching 75s. Rashid Khan scored 76 to be tied 111th, while Himmat Rai was tied 116th on 77. Manav Jaini struggled for a 80 to be 128th. Meanwhile Malaysia's Fung snatched the first round lead with a super six-under 66, four days after missing out on a maiden Asian Tour victory. The 25-year-old, who has two top-10s in the richest golf tournament in the Philippines, showed his liking once more for the course with a seven-birdie card to lead by one shot against Thailand's Poom Saksansin and Chinese Taipei's Hung Chien-yao. Unheralded Filipino Orlan Sumcad, Australian Sam Brazel, Chinese Taipei's Lee Chieh-po, Spaniard Carlos Pigem, Giwhan Kim of Korea, India's Randhawa and Thailand Rattanon Wannasrichan all shot 68s to share fourth place. Title holder Mardan Mamat of Singapore birdied three of his last seven holes to salvage a 74 which left him in danger of missing the halfway cut.